The F.W. Woolworth store in New Cross Road, Deptford in South East London opened in September 1929 and quickly became established as a popular local favourite. Its location, opposite the ornate Deptford Town Hall made it a favourite haunt for the corporation's manual workers, and its proximity to two main line stations with frequent trains to Central London coupled with the passing tram service encouraged shoppers to pop in on the way to or from work. Trade was boosted by its tea bar which offered a wide range of hot drinks, snacks and light meals, all at affordable prices. Until November 1944 it was just one of over 700 branches across the UK that few people outside the local area would ever have heard of. Then everything changed, for all the wrong reasons. By 1944 the Germans were losing the war. The Allied invasion of Continental Europe had gone well. Paris was relieved troops were surging towards Berlin. Hitler was convinced that secret weapons could still turn the situation around. Hundreds of pilotless planes loaded with high explosive rained down on London and the South East. Londoners coined the nickname 'doodlebug' for the weapon, which the Germans called the 'Vengeance 1' or ''V1' for short. Spotters took to the roofs above factories and shops to raise the alarm and get people evacuated to the shelters when a V1 was spotted overhead. Anti-aircraft guns sprang into action, aiming to make the terrible machine explode in the sky. They enjoyed some success. The planes made a droning noise as they passed. When they reached their preset target the engine cut out. For a few seconds there was an eerie silence, followed by loud explosion as everything nearby was destroyed. 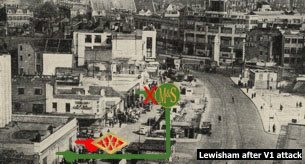 In July 1944 a V1 hit Lewisham High Street in South London, killing sixty people. Marks and Spencer was destroyed. Nearby Woolworth staff were shocked to see M&S workers emerge with their clothes on fire. There had been a friendly rivalry between the staff of the two store chains for years, with regular football matches and competitive events for charity. The Woolworth staff immediately went to the aid of their comerades, providing first-aid and refreshments. A few days later, after discussion with his District Office, the Store Manager his own generous offer. He had heard that M&S store had been deemed beyond repair, and offered to lend them half of his own floor space. His offer was accepted and the two firms traded side-by-side until the Marks and Spencer store was rebuilt. The move evokes the spirit of the age, as rivals united against a common enemy. Far from demanding reprisal attacks on Berlin, the staff who had seen the devastation of indiscriminate bombing at first hand campaigned for it to be stopped at once. Everyone prayed that the Nazis had hit rock bottom and that the futile bombings of targets with no military significance would soon stop. But sadly, that Autumn just a few miles away, worse was to come. In Peenemunde on the German Baltic Coast, scientists were perfecting a much more destructive weapon, code-named the "A4". This became known as the "V2 rocket". Unlike its predecessor, the V1 drone plane, the V2 was a rocket - the first inter-continental ballistic missile. 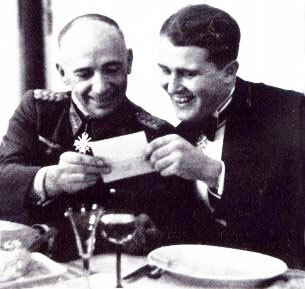 The programme was lead by Major General Walter Dornberger (left), an artillery officer in the Wermacht, and Wernher Von Braun (right), a Prussian aristocrat and rocket scientist. They put together a strong team of experts and, after some setbacks, found the fuels to lift the rocket into the stratosphere and the alloys to keep it in the air until it reached its target. 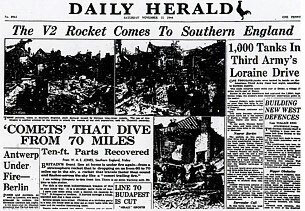 On Saturday 11 November, 1944 the Daily Herald broke the news of the V2 and a series of devastating attacks in Southern England. Up until this date the War Ministry had explained a series of explosions as ruptured gas mains. Civilians had found shards of metal debris from the rockets up to three metres long and had become suspicious of the propaganda. The V2 had an awesome power, diving out of orbit at enormous speed in almost complete silence. Technology at the time knew of no defence. It seemed that the only way to end the attacks would be to disable or capture the launchers, which were known to be in Belgium. Saturday 25 November, 1944 was mild. Morale was high as the Allies pushed on towards Berlin. Word swept New Cross that Woolworth's had received 144 tin saucepans. A queue built up quickly to lay hands on such scarce items. Mums, grannies and even soldiers waited patiently. Every full-timer was at work on the busiest day, supported by Saturday boys and girls, mostly just fourteen years old, topping up their pocket money. At noon the Council's manual workers clocked off after collecting their wages from Deptford Town Hall, opposite the store. Many went shopping. Also at noon, far away on Walcheren Island off the Belgian Coast, a select group of German dignitaries were celebrating. They had arranged drinks to mark the 250th launch of a V2 rocket, which was despatched skywards as they watched. A few minutes later it malfunctioned and exploded in the sky above St Paul's Cray in Kent. No-one was hurt. At 12.15 second break started at Woolworth's and the next wave of store staff headed upstairs for a cooked lunch in the canteen. The train cleaners from New Cross Station on the Southern Railway slipped off early, hoping to get a hot drink of Bovril at the Woolies Tea Bar. The pile of saucepans near the back tills was going down. And the 251st rocket was launched. Suddenly, with no warning, at 12.26 the V2 rocket hit the rear of the flat roof of the Woolworth store. After a moment's silence the walls bowed, and the building collapsed and exploded. The Royal Arsenal Co-operative Society store next door and the queue of people waiting for a tram in the street outside were caught in the inferno. As the dust settled shards of glass and debris stretched ankle-deep all the way to New Cross Station, half a mile (0.4km) away. It is believed that the station had been the target. In the hours that followed local people helped the emergency services to lift the rubble by hand. As it was cleared the full horror was evident. 168 people had died, both customers and staff. 122 passers-by were injured. Just one person survived. These terrible losses would have been even worse if traffic problems had not causes a suspension of the tram service along New Cross Road a few minutes before the attack. we will remember them. R. I. P."
A year after the tragedy, in January 1946, the Woolworth Chairman and founder member, William Stephenson, reflected on the World War as he presented the company's annual results. He paid tribute to all those who had answered the nation's call and served King and Country in uniform. He commended the bulldog spirit of the staff who had kept the stores trading through the darkest days. But he paid special tribute to the customers and staff who had fallen at New Cross. 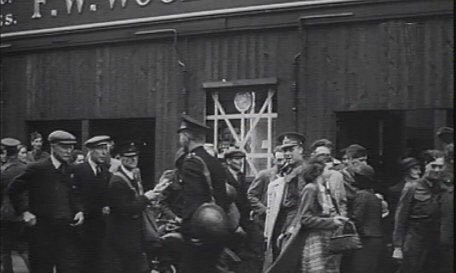 The casualties in the one incident had exceeded the losses at Woolworth stores worldwide, including all the staff who had fallen in battle across the globe. 26 British stores had been lost and 326 had been damaged, but his thoughts and prayers were with the families of those who had fallen at New Cross Road, Deptford. The community was devastated and it was to be fifteen years before the store re-opened. 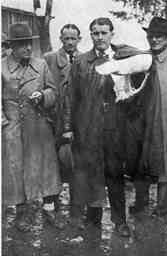 At the end of the war Wernher Von Braun marched his rocket technicians over 50 kilometres across country to make sure that they were captured by American rather than Russian troops. Weeks later he and the whole team were free men starting new lives in the USA. He built the first Inter-Continental Ballistic Missiles, launched television satellites, and in 1961 President John F. Kennedy invited Von Braun to lead Saturn 5 - the Apollo "man on the moon project". He accepted. JFK evangelised Saturn 5 in what many regard as one of the finest speeches of the 20th Century. It would, he declared, require "the best of our energies and skills". Von Braun took dual American and German citizenship and rarely talked of the war years. He was, he said, a patriot who answered his country's call - if he had not, someone else would. As for the rocket, he said "The V2 flew very well, the only trouble is that it landed on the wrong planet." What price a man on the moon? 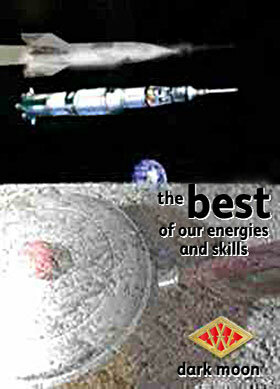 To find out more about Von Braun, Doodlebugs and V2 rockets we recommend Lewis Blake's excellent book "Doodlebugs and Rockets" ISBN 1-872337-21-X. 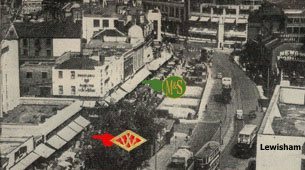 Among other material we reviewed to compile this article was "Remembering Woolworths - 50 Years On" by Deptford History Group, Encyclopaedia Britannica, the NASA Knowledge Base and the work of the University of Lancaster Strategic Studies Unit. We would like to express our sincere and profound thanks to the Deptford History Group for installing a commemorative plaque on the Building on the 50th Anniversary of the tragedy, and our appreciation for the help of Mr Brian Jeffries and Deptford Publishing Limited with our research.